Eating lots of fruits and vegetables may help reduce asthma symptoms, according to a recent study. But if you're one of the 25 million Americans with the breathing disorder, the take-away message is not that you should rely solely on dietary improvements. "One of the dangers here is that people pick up this headline and say, well, I don't need to take my medicine anymore, I can just eat fruits and vegetables," cautions Dr. Marc Riedl, UCLA associate clinical professor of immunology and allergy. "It may help; I'm not saying there's no effect. There probably is, based on this paper, but it's not a substitute for many people who need to take some sort of anti-inflammatory medication for their asthma." Published in the American Journal of Clinical Nutrition, the Australian study divided adults into two groups. One ate a low-antioxidant diet, while the other ate a high-antioxidant diet, including five servings of vegetables and two fruit portions each day for two weeks. At the end of the testing period, people in the high-antioxidant group had better lung function and less breathing problems than those in the other group. The researchers concluded: "Improvements were evident only after increased fruit and vegetable intake, which suggests that whole-food interventions are most effective." Dr. Riedl, who was not involved in the study, explained in a phone interview that this kind of research is difficult to perform, because it requires strict control over participants' diets for sustained periods of time. "They talk a lot in this paper about changing the dietary patterns, the foods. This is a different approach," he adds. Earlier epidemiological studies have found that entire populations with less prevalence of asthma tend to eat diets high in fruits and vegetables. This new analysis examines if dietary changes can alter the course of the disease in people who already have it. The results suggest that dietary modifications could play a role in a patient's treatment plan. A previous study found that eating a Mediterranean diet -- one low in saturated fats and high in fruits, vegetables and fish -- is associated with a reduced occurrence of asthma in populations of children. Both raw and cooked vegetables have been shown to provide beneficial nutrients. 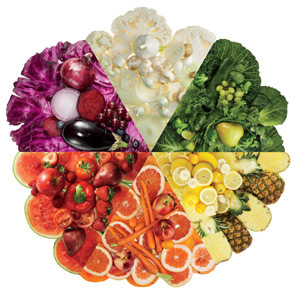 As part of its tips for dealing with asthma, the Mayo Clinic recommends eating more fruits and vegetables, because "they're a good source of antioxidants such as beta carotene and vitamins C and E, which may help reduce lung swelling and irritation (inflammation) caused by cell-damaging chemicals known as free radicals." 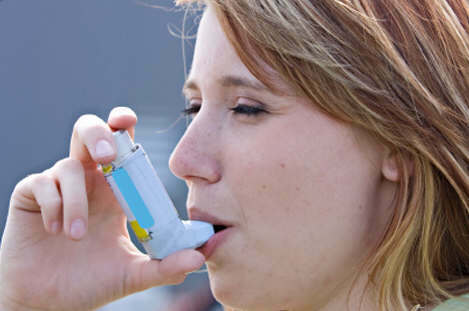 Different factors can trigger asthma attacks, in which airways narrow and breathing becomes difficult. Infection, environmental pollutants and food allergies are among common culprits. Many asthma sufferers also react to sulfites, preservatives found in wine and some foods. In the past, other than making sure that patients avoid food triggers, overall dietary recommendations have typically not been part of treatment plans. But this new research may have medical care providers rethinking that approach. "There's a lot of data to show that fruits and vegetables are good for your weight and your heart and lots of other things. I think that's a good general recommendation but we really haven't used that specifically for patients with asthma, up to this point," says Dr. Riedl. "Maybe that should be a piece of the lifestyle changes that are recommended for people with asthma." Bottom line: Eating more fruits and veggies may help -- and it certainly can't hurt. Asthma is a problem of the immune system. I saw amazing improvements with my asthma a year or so after I started taking Juice Plus+ (in 1993) and, as a result, eating far more nutritious vegetables, like spinach and broccoli. We now understand the connection: a lack of nutritious food and a diet of junk or fast food are both key contributors to a weakened immune system and (for those of us predisposed) to asthma.